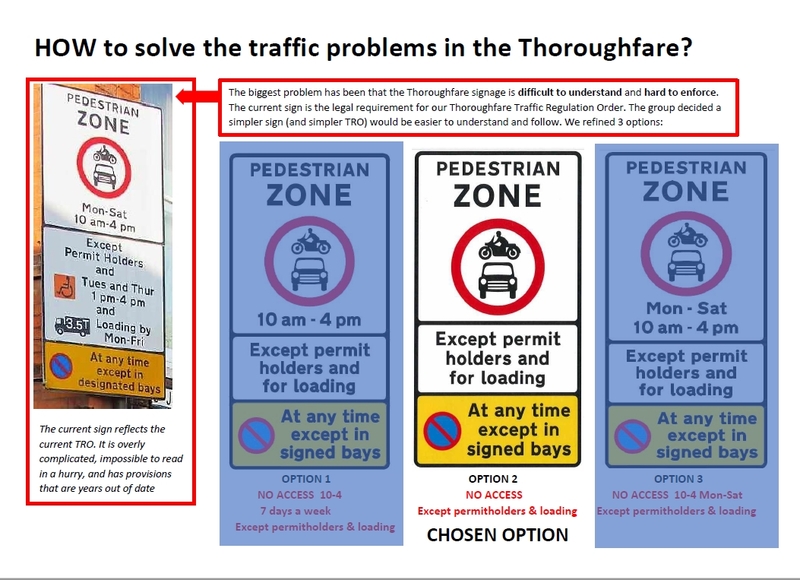 Update: December 2017 Recently, the Thoroughfare Working Group held a public consultation on proposed changes to the Traffic Regulation Order in The Thoroughfare. 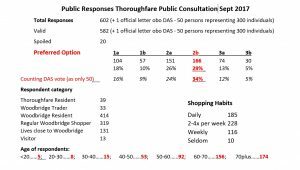 (full details below) A stall was staffed in Woodbridge Library for seven days and with an additional presence in the Thoroughfare. 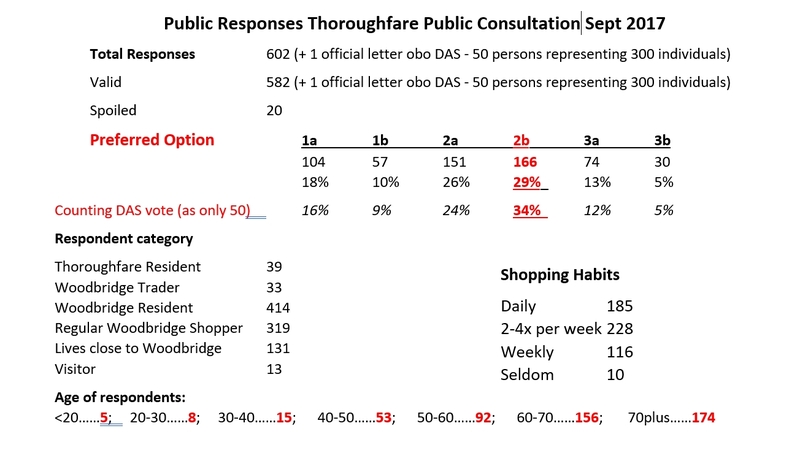 Additional questionnaires were handed out to all Thorouhfare residents and traders. 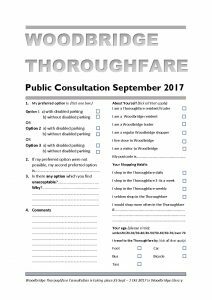 Come to Woodbridge Library, 25th September to 1 October, and help decide the best way forward for Woodbridge’s Thoroughfare. “All we need’s a Traffic Warden”. Traffic wardens were abolished THIRTEEN YEARS ago under the Traffic Management Act 2004, which passed the responsibility for enforcing on-street violations to the police. 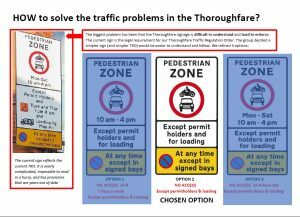 ACCESS: Research by the TWG has discovered that a significant number of residential homes and retail properties only have access from the Thoroughfare.